Situated across from Trumbull Town Hall in Connecticut's Fairfield County, Home Veterinary Services, L.L.C. is a full service veterinary clinic offering state-of-the-art resources in the comfort of a 1918 home. 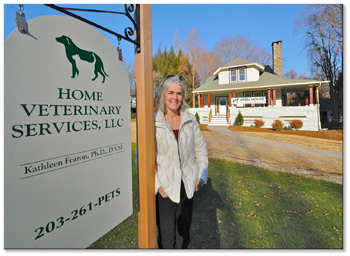 Dr. Kathleen Fearon started Home Veterinary Services as a house call practice in 2003, offering services such as routine exams, minor surgeries, dentistries and x-rays out of her mobile veterinary clinic. In 2010, she expanded the services she was able to offer by moving her business to a remodeled craftsman style home in Trumbull. 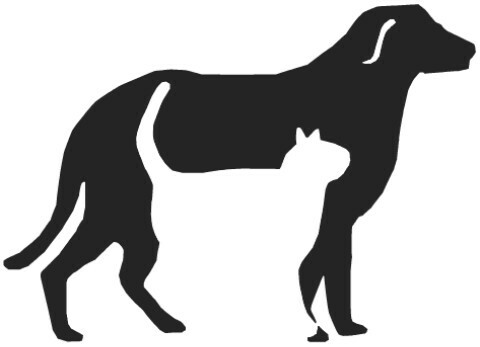 In addition to offering home euthanasia for pets in Trumbull and surrounding towns and house calls for her original clients, Dr. Fearon is now able to offer her clients and their pets complete medical, surgical and dental care. The new clinic is equipped with in-house blood work, digital x-ray, ultrasound and a hospitalization suite. Dr. Fearon's philosophy is rooted in her relationships with her clients as partners in providing what is best for pets and their families. All of the decisions about the care of an animal are ultimately up to the owner. It is Dr. Fearon's goal as a veterinarian to share her knowledge and experience with pet owners in the Trumbull area so they are able to make the most appropriate decisions, given their individual situation. Please browse our website to learn more about us and the services we provide for companion animals in Trumbull and the surrounding areas. Read information in our Pet Library, view videos, take a tour of our clinic and find details about upcoming events. Please call our office today at 203-261-PETS (7387) for all your pet health care needs.